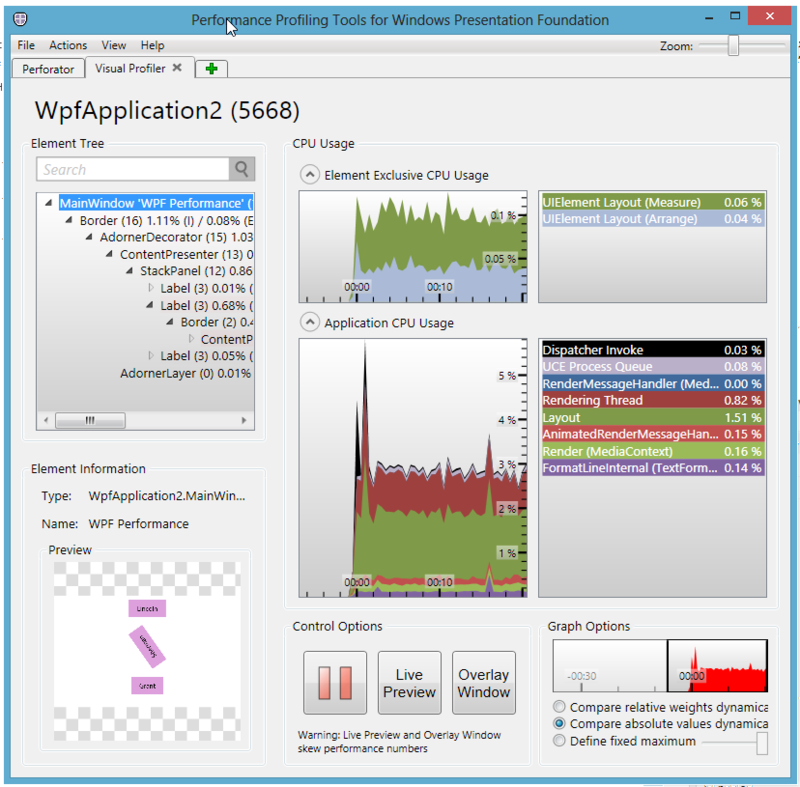 Once you install the WPF Performance Suite, you can use the tool to help improve the performance of your application. In addition to the Perforator tool, the Performance Suite includes the Visual Profiler tool, which is designed to help you profile your application at run-time. Profiling involves monitoring your application at run-time to look at the performance aspects of individual elements. This will help you figure out the location of any performance bottlenecks. To run the Visual Profiler, start the WPF Performance Suite and click on the Visual Profiler tab. Start your WPF application and then click Select Process under the Actions menu to select your process. Why I don see the Visual Element tree and can’t find any searching as well ? ?